Then, I paused for a bit. I calmed myself to find some other ways, of bringing the message across, without sounding like my mother. But I was so surprised to be using the same “do-this-or-else” method. When I swore, some 16 years ago, that when I have my own kids, I won’t discipline my kids the way I was disciplined. I think... that sometimes, you can’t help but be influenced by your mother! 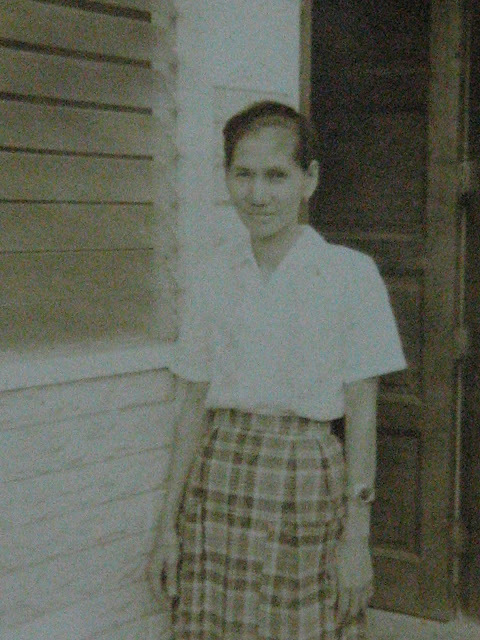 MY MOTHER, BORN IN 1931. YOUNGEST IN A BROOD OF 9. The fondest memory I have with my mom, was during the long brownouts in the 90’s, when we spent time just chatting. She told me of a story of about her seeing her relatives play card and smoking a cigar with the lit-side inside their mouths. She wanted to try it, but was afraid of burning her mouth. So she tried it with her rag doll. It ended with the rag doll burning a part of the kitchen in the old nipa house. She also told me how she was so afraid of the Japanese soldiers, with bayonets, and how she was so happy to see the American soldiers on the road, giving her chocolates, while she shouted non-stop “Victory Joe!”. To my mind, it was just like a scene from a history movie. But it was an experience so vivid for her. And I was just so happy to hear it from her. My mom was strict. She never allowed me to go to late night parties. She was a pessimist, always thinking something bad will happen to me. She was a worrier, she panics and cries a lot when I get sick. She was addicted to saving, she felt secure knowing that she’s ready, financially, for the future. Growing up, these were the things that brought conflict in our relationship. But now, these are basically the things that I do and believe in. 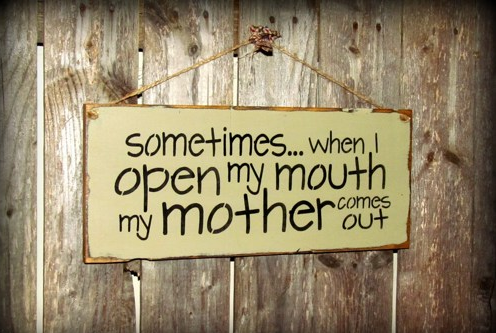 My mother didn’t just literally came out of my mouth... she went out of my body! Now, as a mother of two, I understand where she was coming from. She was strict, because she simply doesn’t trust the people around. This is how I feel living in the kind of society that we have now. Will I let my kids go to late night parties, or bike on the road, knowing there are stupid drivers and bad elements roaming the streets? I also worry a lot, and panic a bit, when my children gets sick. I admit to google every known symptoms to an illness, every time they get sick. And yes, I am also obsessed with “saving”, its my security blanket. I am now PROUD and HAPPY to be just like my mom. But every single day... I am aware of the things that she DIDN'T DO and learning from it. 1. We never went on vacations. Summer vacations were spent inside the house. But as a mother now... I make it a point to visit a new place each year. 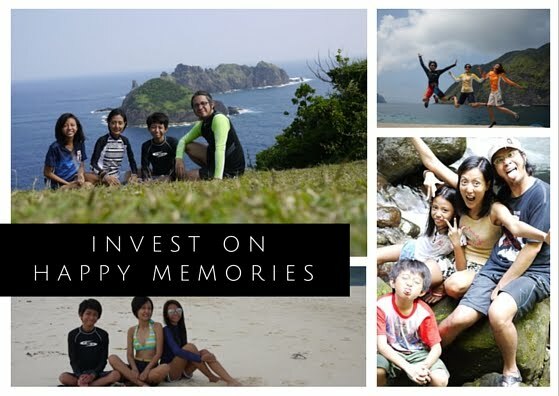 Traveling will enrich my kids’ experiences. 2. My mother never assigned me household chores. 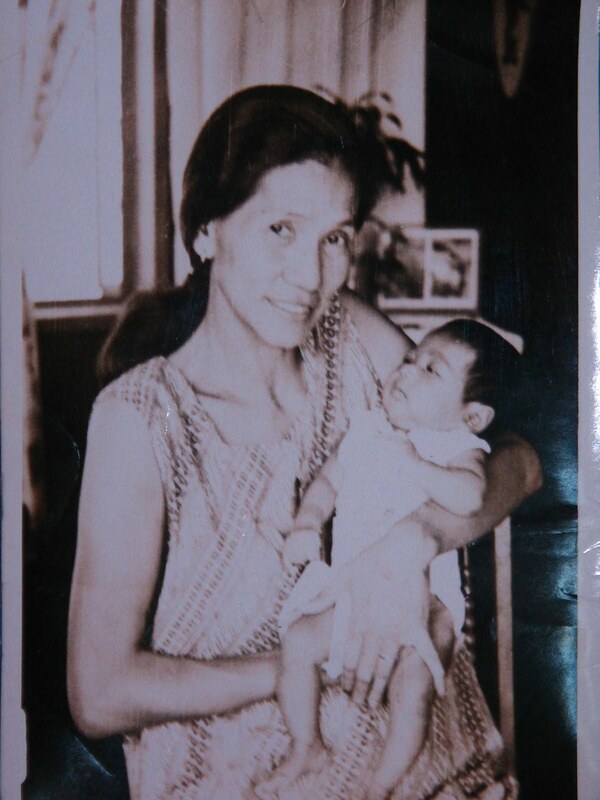 She did everything for me, for the simple reason that I am ONLY child. I was a bit spoiled. But now... I make a conscious effort to let my kids do chores appropriate for their ages. It's one of the ways to curb the "self-entitlement" these millenials think they deserve. 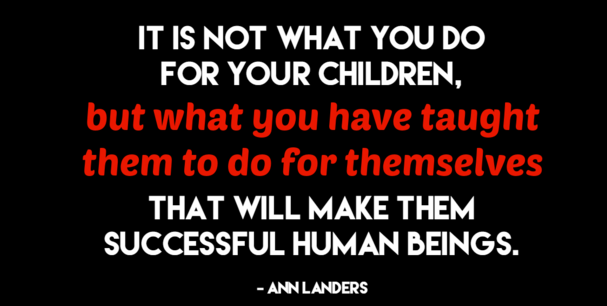 To teach them that if they want something, they must work hard for it. 3. 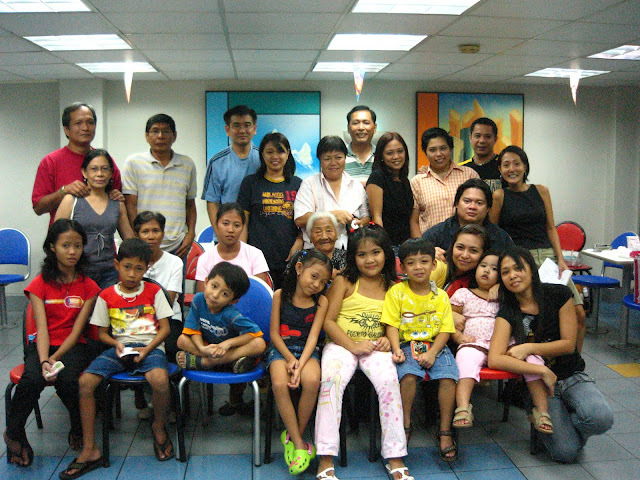 I grew up knowing only a handful of my relatives. We never attended reunions. 70% of my family, I haven’t met. As parents now... my husband and I, grab all the opportunity there is to attend reunions, go to our hometowns, and re-connect with families, even via email and Facebook. We believe that it is important for the kids to know their roots. And yes, to the point of teaching the kids to speak Ibanag, while they are eager to learn it. This Mother’s Day... 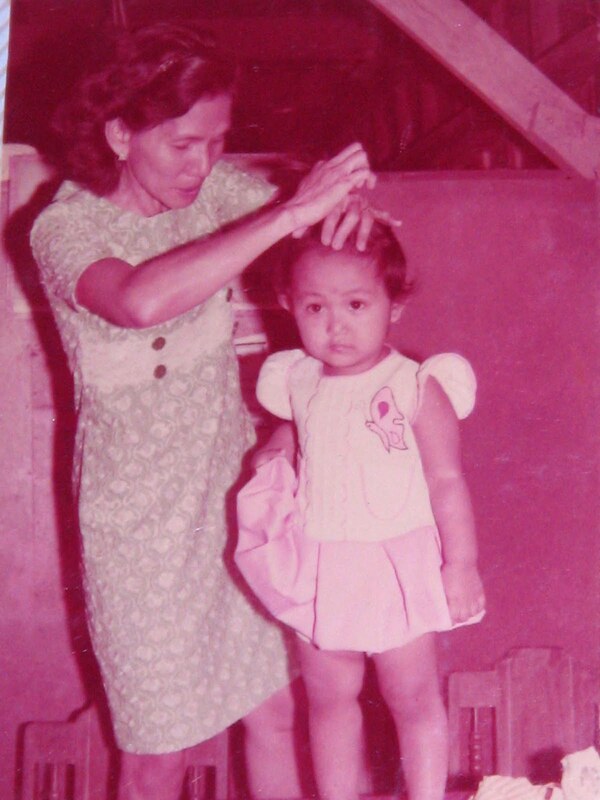 I am truly PROUD and THANKFUL to be like my mom and not to be like her in some other ways... I am thankful for the things she has taught me. She has passed on in 2007, and I’m sad that my kids are too young to establish a relationship with her. But through her teachings, and stories... the connection is still present. Kids: Wow! :) :) What kind of Iphone? And please buy me some new earphones??? Me: Huh! Asa pa kayo! Am just making sure you were getting my messages! LOL! As mothers, we cannot really escape the “generation gap”. I experienced it with my mom, and with my kids now. It's all part of the motherhood journey!